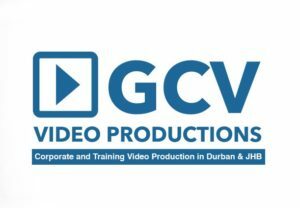 no 1 video production Durban had a fantastic day on Friday. GCV Productions and Pixel Craft Training teamed up to produce an advert for TV that should be aired in a few weeks time. Wow what a day we had. The day began at 8 am collecting the camera man and assistant / actor from Pixel Craft in Overport, Durban. We arrived on location at 8:30 am and offloaded all our gear. The equipment we took for the shoot was the Panasonic GH 5 Camera, Zhiyun Crane, Sony NX3 camera, LED lights and a reflector. No audio was being recorded…what a relief. The GH5 camera on the Zhiyun Crane is phenomenal! We got some amazing shots, well done to Manosh Seetherem from Pixel Craft Training for the incredible shots gathered. Filming went on throughout the day until 4 pm. The advert will be 40 seconds and we must have had at least 80 minutes of footage, you can never have too much. I will upload pictures in the follow up blog. Now the approach is to edit and make sure the visuals tie up with the voice over already created as well as titles and background music. We have all those in place so theoretically the edit should be quite straight forward. The edit already began yesterday with a very rough outline edit. Timing needs to be worked on and the last closing title. A final master will be uploaded when complete. Guys, thats it for now, we need to edit and get a finished product to a customer.